Madeline provides an excellent canvas for embellishment. Enjoy incorporating a favorite technique on the flap or side panels. 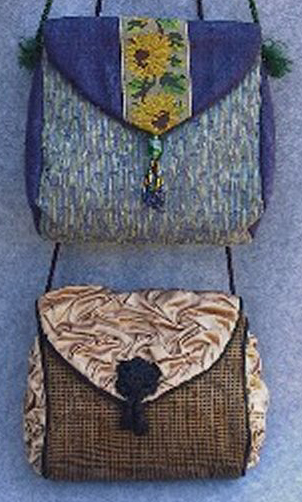 Ruching embellishes one of the versions shown. Instructions for this and the beaded tassel are included. Madeline closes with a zipper under the flap keeping valuables secure.